State College, PA - 09/12/2015: Penn State WR Chris Godwin (12) catches a long pass amidst coverage by Buffalo CB Marqus Baker. Godwin led the Nittany Lion receivers with 5 catches for 75 yards. 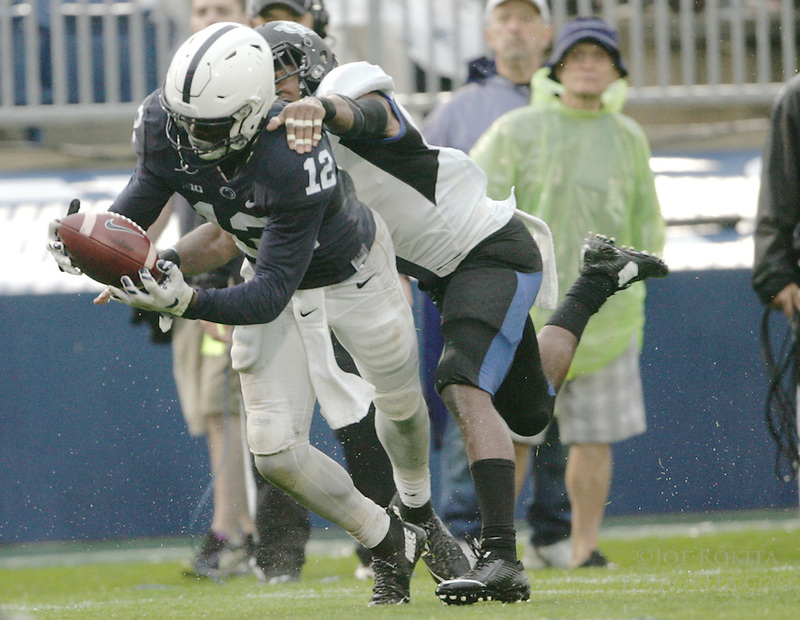 Penn State defeated Buffalo by a score of 27-14 at rainy Beaver Stadium in University Park, PA.